In what is now likely to be a regular update, we've been checking out which games are out early in this download week. With solid support for the Switch eShop we have release dates planned to tie-in with retail arrivals or multi-platform downloads; in crowded weekly release schedules 'early' arrivals can therefore fall through the cracks. We don't want that to happen, do we? Last week's equivalent brought us four early games in the week, but this week we're up to five. They'll all be live through the course of the day (likely morning in North America, afternoon in Europe) - let's get to it. A definite win for marketing and savvy timing. This only arrived on other platforms earlier this year and was received quite positively; as you can see in the trailer above it takes the first-person scary house trope and adds a twist. The protagonist is blind, so you can only see the surroundings in limited details and outlines, effectively using sound as your guide. This is an enhanced edition that includes three options for playing the campaign and various adjustments designed to improve on the original. This actually arrived on 30th October. You take control of a boulder (the King of boulders it would seem) with the aim of using your ridiculously long tongue to lick up other, smaller boulders, before launching them at tanks and helicopters. Despite sounding like something we've made up for the world's earliest (or latest) April Fools article, the game is very much real and actually looks like a whole lot of fun. One of the first games Ubisoft actually announced for the Switch, it's now finally ready to make its entrance. Yep, it's virtual Monopoly, though you can also customise rules and play shortened Special Goals games if you or the system's battery are running out of time. Based on the PS4 and Xbox One title from 2016, this chaotic racer features more than 30 maps covering forest, desert, winter and farm environments. You'll also find 84 skill challenges and 12 "authentic" events. There are also 6 officially licensed Monster Jam stadiums included, if you're keen on that kind of thing. 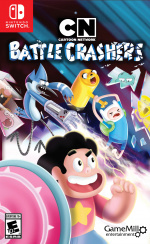 Previously on 3DS, this beat 'em up-style title takes various IPs from the famous network and mashes them up into one adventure; it can be tackled solo or in local co-op. Those are your fresh eShop arrivals - will you pick any of these up? Hmmm, I don’t see anything. Might rent Monopoly at some point. There's plenty of Wii U games that could be recommended and are currently on sale on the eShop and are actually related to Halloween. Monopoly? The Horror. Nothing for me from this lot but 2 Eshop updates a week is nothing to complain about. I hope this becomes a regular thing. 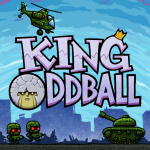 I noticed some games have been added to the discount section, Bulb Boy for half price was the stand out. I bought it a while ago and can recommend it,especially at that price. Possibly the most bizarre game you'll ever play. Not interested in any of these. I'm keen for Super Beat Sports later this week though. You definitely won't have enough battery for a full game of Monopoly (I've played it for about an hour and a half with flight mode turned on and the battery whittled away from 100% to about 30% after about 1 1/2 to 2 hours of play time. I've never played Monopoly proper before, so I have no idea how long this bloody game is going to take. Fortunately it saves between turns, so you can just pick up where you left off at your leisure. Each profile can save up to three games at a time. I haven't played it in docked mode, but the frame rate is quite poor in portable mode. Switching from the dynamic perspective to overhead perspective alleviates this, but this shouldn't be an issue for a friggin' board game. But then Ubisoft aren't exactly renowned for their polish. I'm enjoying my time with it, but the game is far too slow paced for my liking, especially for one that demands such long game sessions. Better go to Wii U or 3DS for Halloween celebration, e.g. Maiden of Black Water or Majora's Mask. 40 bucks for monopoly seems so high lol. Perception ... "received quite positively"!!! Um ... it was (almost) universally panned! Not anything for me today, but still at a pace where there's something nearly every week that I want, so it seems silly to gripe about it. After spending so much time playing Boom Street (Fortune Street if you prefer) on the Wii, I don't think I could ever justify buying a video game version of Monopoly. Perception is definitely on my wishlist. 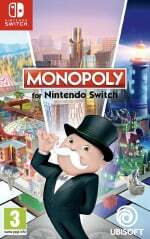 Planning to grab Monopoly sometime later, too (I remember enjoying it even on Gameboy Color years ago), but likely when it's on sale. I don't intend to pretend I'm a pricing analyst of any capacity, and if that's their price, I fully respect it... but on my side as a customer, this is about competition - when you visit eShop with 40 dollars to invest in one game, there's a number of yet more tempting titles to spend it on, and that number is only getting larger with time. I will eventually grab the physical copy of monopoly and possibly monster jam. Perception for me this week, just to give the devs a bone. Seem like down to earth people. Let's hope they make more horror titles for the switch! @fluggy not ‘universally panned’ but certainly not acclaimed either. Looks decidedly average, but for someone who enjoys horror games it probably looks like it would get a pass if you were to limit your expectations. Plus it’s fairly cheap. Garbage. Get Evil Within 1&2. it is only for $34 dollars on PC if you have that option. They amazing games for Halloween and you can support Bethesda. CDkeys has a Halloween sale! Yes, Monopoly definitely qualifies as a horror title for me. But seriously, Perception sounds interesting. PASS. I already have Monopoly as a board game (Zelda Edition) and on the PS3, and both cost less. That’s a total rip off for Monopoly. The rest look forgettable. 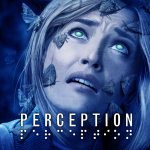 If “Perception” reviews well on Switch, then I will probably spring for it given the developer pedigree. Most likely, however, I will grab “The Count Lucanor” on the strength of that title’s review here last week. Did anyone purchase it upon release, and if so, od you mind sharing about your experience playing on Switch? @Pablo17 If you have a 3ds and an interest in card games, I would recommend Culdcept Revolt instead. It's monopoly meets Magic the Gathering. It's very fun and the game eases you into things. Just be prepared for the AI as it actually uses some pretty clever tactics to steal wins from you. Monopoly could stand to be a bit lower in price, but I bought it on the eShop because I love it. And to be fair, one of the two all-new 3D boards is spooky themed so it would go good for Halloween. It has HD rumble, three 3D boards in all, two classic boards - one being Rabbids themed - unlockable specialized tokens and objective cards that provide specific goals for a shorter game session. I'm happy with it, but I love Monopoly. It will sell very well when it dips down to $20 like the other Monopoly games Ubisoft has on other systems as they all launched at $40 as well before coming down in price. Wasn't Monopoly supposed to come with green joycons in a previous promo or did I imagine that...? These games are scary alright, and not in the good way. @BenAV I'm so happy there's another Itadaki street fan here ! Here's hoping Itadaki Street: Dragon Quest and Final Fantasy 30th Anniversary gets a Switch Port ! Yeah....no thanks, I think I’ll stick with Odyssey and Splatoon 2. @LuckyLand I’m leaning more towards gear.club myself. 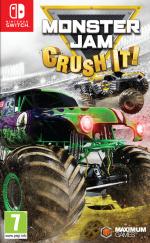 I prefer SIM racers rather than some kind of monster truck game. 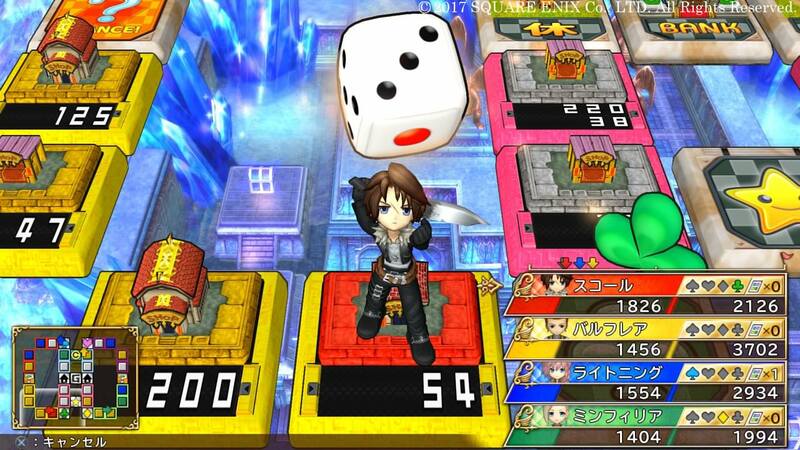 @LuckyLand I’m really hoping it’s not just a direct mobile port though. Hopefully they take advantage of the Switch’s power and up the graphics but I agree from what I’ve seen so far it looks really good. Looks like a PS Plus Games Lineup. I'll stick with Odyssey for a while (although Mummy Demastered looks pretty good). Perception seems interesting, however, I can't help but think Capcom missed a huge opportunity not having the RE: Revelations package ready to go by today. @neufel Fingers crossed. It'd be such a perfect fit on the Switch. @fluggy I never suggested it was great. Just not universally panned as you suggested. Remember, Nintendolife is one opinion, not the de-facto opinion. Meta-critic wise this still sits on mixed, and the review summary on here confirm a exactly what is suggested, if you like this kind of game, there is likely something there for you. I’d say 4/10 is harsh, 4 suggests something really close to terrible, when really it’s closer to competent and generic, and not bad for what it is. I never suggested it was universally panned ... I suggested it was "almost" universally panned!! !